Posted April 13, 2010 in Orion, Paul Pope. 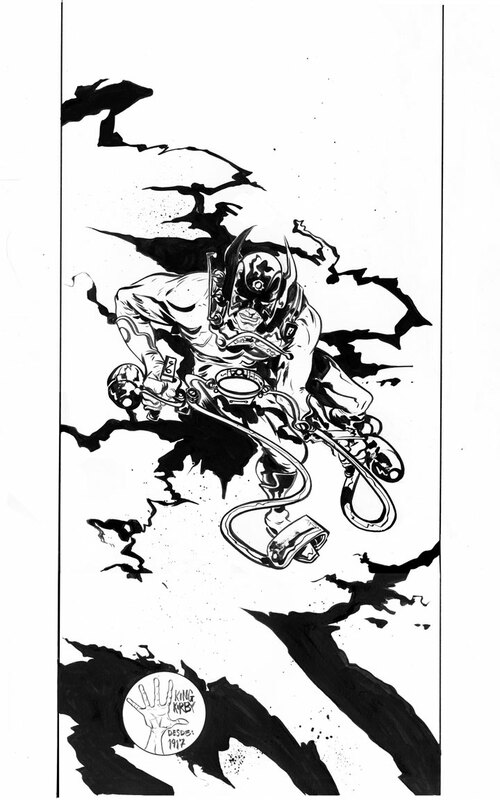 Orion courtesy of New York writer/artist Paul Pope. Paul’s work is a combination of European and Japanese influences which he infuses with Kirbyesque design motifs. He is the creator of the acclaimed graphic novels 100%, Heavy Liquid and Batman: Year 100. This illustration was created for a recent MoCCA after-party flyer with Kirby inspired typography supplied by Dave F of Dark Igloo. For more of Paul’s work be sure to visit his blog and Flickr page.